The sculpture contradicts the performative act of sewing, traditionally identified as a domestic task of women with the female genital mutilation practices. 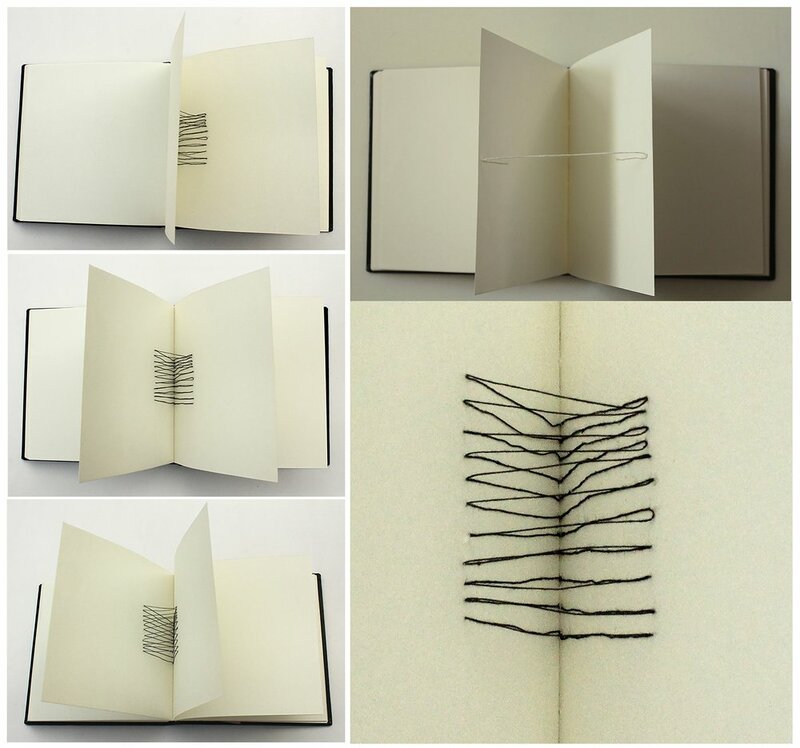 The stitched pages can be referred to the wings that are being constrained of complete movement, ripping the pages of the book when stretched completely. Here, the perception of a certain act as part of gender politics is itself limiting the understanding of the identity of women.